By reservation, we are glad to welcome you to Bulichella to tell you the farm’s story and transmit our passion for the land and for the organic wines we make. Tour: in our farm yard you’ll enjoy a landscape that extends over the vineyards and all the way to Montepeloso and the sea. The tour then continues to the winery, where you will be filled in on the wine-making and ageing process, then moving on to the barriques room and the bottling area. 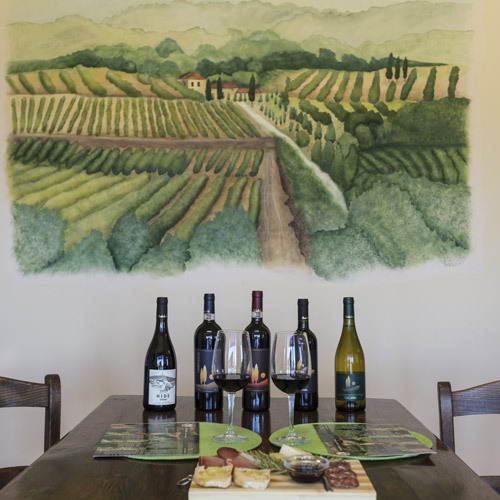 The tour ends in the tasting room for the presentation and tasting of wines accompanied by bread and our own extra-virgin olive oil. On request we can serve cold cuts and cheeses. After the tasting, our shop is open for purchases or orders. For more information, please call or write us.